If you’re overwhelmed by debt and can’t make your minimum payments each month, you may start wondering how you’ll ever regain your financial footing. One such opportunity comes in the form of debt settlement. This process entails negotiating with your creditors to accept a smaller amount than what you owe. Typically, you pay in a lump sum and the debt is considered settled. Debt settlement companies mostly work with credit card debt, but there are other types of debt they work with and some they don’t work with at all. While you certainly can attempt to negotiate your settlement on your own, you may have better results by working with a professional company. Just know that any type of debt settlement can hurt your credit score significantly, so it should only be considered in extreme circumstances. You’ll also be advised to stop making payments on your debts, which can result in late fees and collections calls. Another impact to consider is that you’ll almost certainly need to pay taxes on any amount that is settled. It’s considered as part of your income, so make sure you account for this increase when filing your taxes. As with any bank or other financial services company, it’s important to choose your debt settlement company extremely carefully. After all, they’re helping to manage your money and represent you in front of your creditors. Choose wisely so you can receive the best results possible. Here are our top picks for 2017. 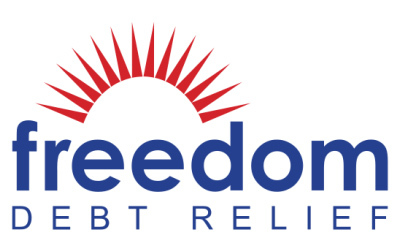 While Freedom Debt Relief takes charge of the debt settlement process on your behalf, you ultimately get to retain control of all of the decision making. First, schedule a time for a free consultation call. This is an important step because it helps you determine if debt settlement is truly right for you. You’ll talk to a Certified Debt Consultant who can provide you with several options, allowing you to weigh the pros and cons of each one. Next, it’s time to actually start building your settlement fund. Like most debt settlement companies, Freedom requires you to make payments into an FDIC-insured Dedicated Account. Once you’ve built up enough funds, they’ll start negotiating with your creditors to work out a deal. But before making a commitment to settle, they’ll reach out for your authorization. This happens for each separate settlement so that you’re not responsible for anything you don’t actually agree to. Rather than paying a fee upfront or on a monthly basis, you only pay for each account that is settled. You’ll be given a transparent cost estimate during your free consultation call. You’re encouraged to enroll all of your credit cards in Freedom’s programs, although you can keep one for emergencies if the balance is less than $500. The goal is to provide holistic debt relief so that you can move forward with a clean slate once the process is over. Most of their plans range between 24 and 48 months, so you can start seeing results relatively quickly. In total, the company has settled more than $7 billion in consumer debt, reflecting a strong track record of success. They also serve a large number of clients, which helps with their negotiating power. In fact, they routinely manage nearly 37,000 accounts each month. While enrolling in a debt settlement program can result in a lawsuit over the money you owe, they haven’t seen this actually come to realization for the majority of their customers. But, if a lawsuit does happen, Freedom is prepared. They can partner with a third-party law firm to work through the litigation and continue the settlement process. You’ll likely be required to pay a higher fee for these additional services, but you know you’ll have access to expert help. 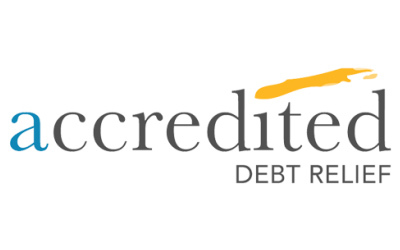 With a five-star Trust Pilot review, Accredited Debt Relief is certainly a popular option for getting your debt settled. And they actually offer a slightly different service than the typical debt settlement company. Rather than performing the services themselves, they work with partner organizations who in turn help you through a debt settlement program. The process usually takes 24 to 48 months and goes faster when you’re able to put more money towards your settlement account. Plus, your creditors find out about your enrollment right away. Within the first two weeks of enrolling, specialists call your creditors to let them know that you’ve signed up for the program. This encourages the creditors to call Accredited’s partner instead of you. It’s not a guarantee that you’ll completely avoid these calls, but it can help take some of the heat off your back. What sort of expectations should you have going into a program through Accredited? That may sound like a hefty amount, but you’d still end up saving money on your balance, not to mention the interest you save by avoiding years of minimum monthly payments. They are also certified to do business in just about every state, so you can qualify no matter where you live. We also like their commitment to corporate social responsibility. They’ve provided financial support to several worthy non-profit organizations, like St. Jude Children’s Research Hospital, the Wounded Warrior Project, and Susan G. Komen for the Cure — just to name a few. 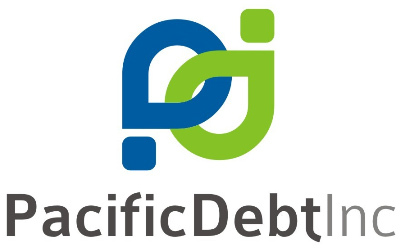 Based in San Diego, California, Pacific Debt Relief has spent 14 years helping clients settle their debts. They work with you to create a debt management plan that actually works within your budget so that you don’t feel completely overwhelmed by your obligations. In most cases, your monthly payment for debt settlement is much less than if you were to continue making your minimum credit card payments each month. Like the other companies on our list, Pacific works as quickly as possible, settling most clients’ debts within 24 and 48 months. To get started, you’ll need at least $10,000 in debt that you’d like settled, and it must be unsecured. Currently, the company works in 28 states, so read our full review to make sure you live in an eligible state. When applying, you’ll work with a certified debt counselor who will review your current financial situation. They’ll even help you make a budget so that you can stay on track with the program. Once you enter Pacific’s program and grow your FDIC-insured account, the negotiation process begins. But you always get the final say — no settlement occurs without your own approval. One of the perks of working with them is that you get a single agent who is dedicated to your account. So if you have a question or concern, you get to talk to the same person each and every time. While there aren’t any guarantees, Pacific does have proven results. They work with thousands of clients and actually settle millions of dollars every month. They work with both bank creditors and retail credit cards, so you can get help regardless of what unsecured debt you have. In fact, they’ve worked to settle accounts with places like Citibank, Target, USAA, Kohl’s, and Capital One. 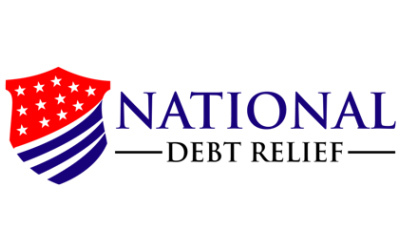 One of the nation’s largest debt settlement firms, National Debt Relief utilizes seasoned professionals to help tackle your debt problems. Their employees include professional debt arbitrators, negotiators, and a stellar customer service department. It takes just 30 seconds to apply and find out if you’re eligible for their debt settlement services. The minimum amount of required debt is $7,500 but of course, many customers have much more than that. Once your escrow account has accumulated enough money from your monthly payments, National’s team starts to work on the negotiation process. They’re pretty upfront about how tenacious they are — they’ll keep trying until you either reach a settlement or the creditor makes it abundantly clear that they won’t settle. When the team does reach an agreement with the creditor, they’ll reach out directly to you so that you can authorize payment from your account. You have total control over those funds. You also won’t be charged until you actually receive a settlement — there are no hidden monthly fees. And if you want to cancel out of the program, it’s an easy process with no fees involved. While most debt settlement companies only work with unsecured debt, National can sometimes help with secured loans or even private student loans. If you’re burdened with these types of debts, then it’s worth reaching out to them. Another stand out feature from National is that both their customer service reps and negotiators work together in teams. That helps you because there’s a lot more transparency in terms of who’s doing what and the progress that’s being made. We also appreciate that they have worked with tens of thousands of clients over the years. You don’t get much more experience than that! There are a lot of debt settlement companies out there, even if you’re just looking at the ones on our list of best picks. So how do you choose the one for you? There are several factors to consider. First, think about how severe your debt issues are. In reality, you should only consider debt settlement if you’re on the brink of bankruptcy or can’t see a path out of debt anytime soon. You could even talk to an independent credit counselor about your options. Once you narrow down your debt settlement options to settling your accounts with a professional company, first take a look at the qualifying requirements. You’ll typically need to meet a minimum amount of debt, which usually has to be unsecured. Next, look at the fees. Don’t rely on testimonials and online reviews. You need to call each debt settlement company you’re considering and get a quote based on your own actual financial situation. This can really help to narrow down your options and can be done through a free phone consultation. Finally, find out how much your monthly payments will be into your escrow account and how long the debt settlement company expects the process to take. You need to find a healthy balance between aggressively funding your debt settlement account while not taking on a new (and unnecessary) financial burden. Once you’ve compared your options, you can get started on the road to debt relief. It may take some time, but in many cases, it can lead to a much more promising financial future.